Exmoor has had a fantastic year this year (2017) for the heather. This lone tree was taken at sunrise on Porlock Common. 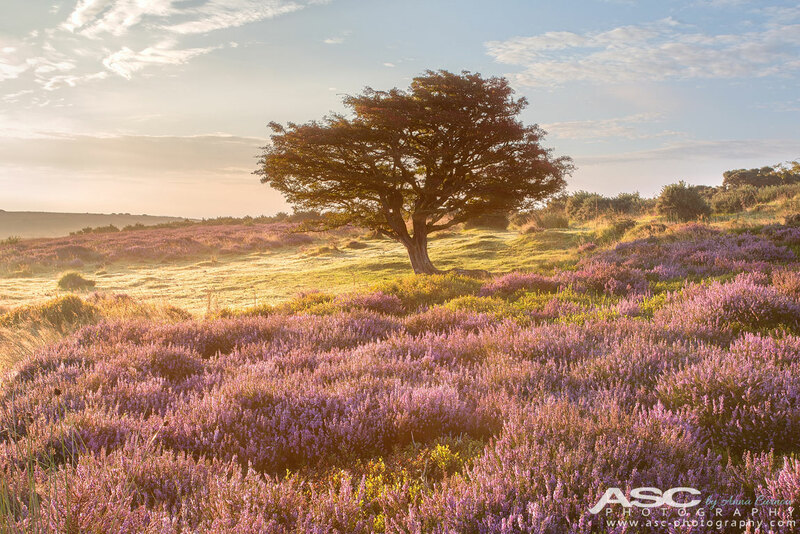 The early morning dew softens the bright colours of the heather.